Turn heads with this glamorous cubic zirconia fashion ring. 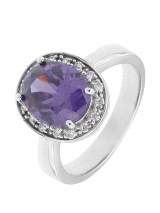 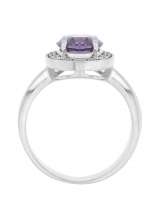 The eye is drawn to the opulent oval purple cubic zirconia set in the centre of this sterling silver ring. The border of sparkling white cubic zirconias completes the look for added beauty.